The all-in-one maximum strength clumping and odor control for multiple cats. Now even better: Scoop Away Complete Performance is now a low-dust formula! Multi-cat strength; for even the busiest litter boxes! New, LOW-DUST formula: Scoop Away Complete Performance is now a LOW-DUST formula! 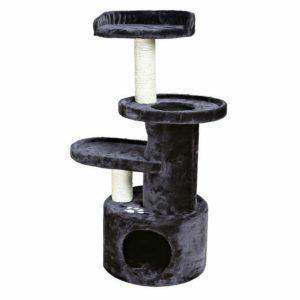 Your favorite cat litter has gotten even better by significantly reducing the dust your cat kicks up and tracks around. New, low dust formula Scoop Away Complete Performance is designed for cleaner surfaces, clearer air and less tracking. 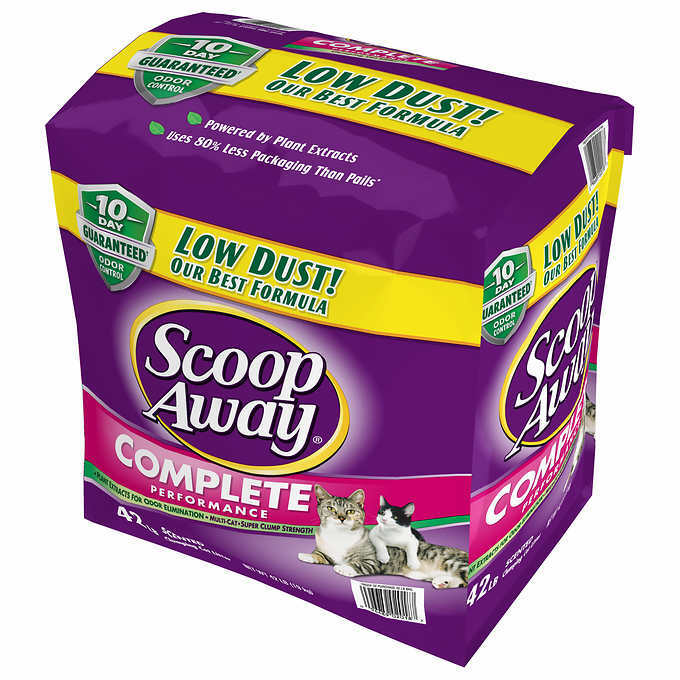 Scoop Away Complete Performance clumping cat litter continues to deliver tight-clumping, super-absorbent scoopable cat litter with maximum odor control … making your litter box easy to clean up. There is virtually no used litter left behind after scooping – so effective that you don’t need to dump out the entire litter box! 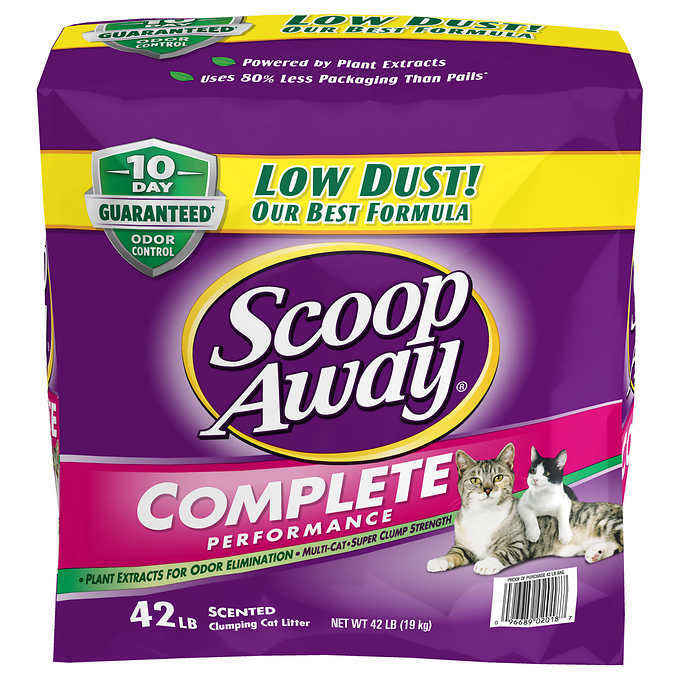 Scoop Away Complete Performance clumping cat litter is formulated from tight-clumping premium clay so virtually no waste or used litter is left behind after scooping. 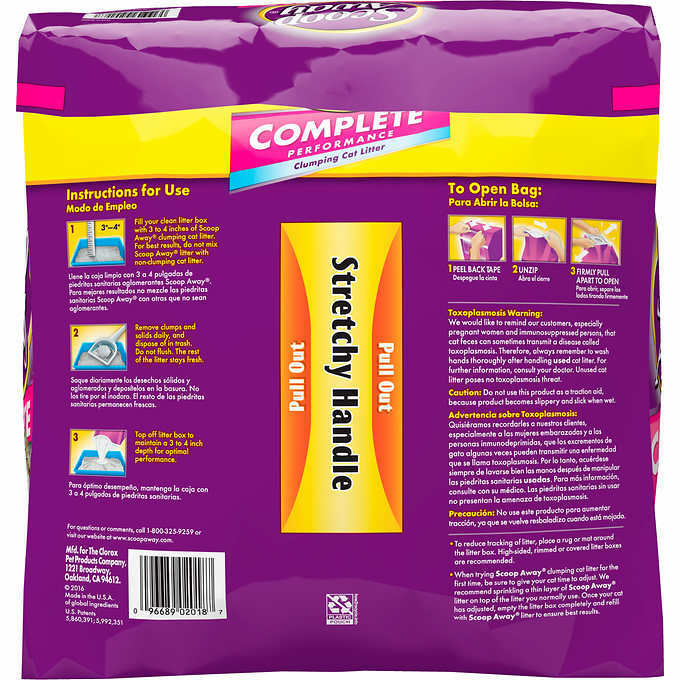 The small, highly-absorbent granules of premium clay in Scoop Away® react to liquid quickly – and form into tight, solid clumps. This process controls waste and urine smells, and allows waste to be easily removed. Scoop, top off, DONE: For optimal performance, simply scoop out clumps of waste daily, and top off with enough fresh Scoop Away clumping litter to maintain a 3-4” depth…it’s like having a fresh litter box EVERY TIME you scoop! Destroy odors! : Scoop Away’s patented formula contains special minerals that actually trap and eliminate odors on contact. Scoop Away litter also inhibits the growth of bacterial odors through Ammonia Shield technology (which prevent ammonia odors from growing). Pour 3-4 inches of Scoop Away Complete Performance clumping cat litter into your litter box. Scoop the solid waste daily, and dispose of clumps in the trash*. For optimal performance, add enough Scoop Away® clumping cat litter as necessary to continually maintain and 3-4” depth in your litter box. DO NOT MIX SCOOP AWAY with other types of brands of litter! *Used litter and solid waste should only be disposed of in the trash. DO NOT flush any type of clay cat litter, as it can clog plumbing. Toxoplasmosis Warning-Customer reminder (especially pregnant women and immune-suppressed persons): Cat feces can sometimes transmit a disease called toxoplasmosis. Therefore, ALWAYS remember to wash your hands thoroughly after handling used cat litter. DO NOT use this product as a traction aid, as product becomes slippery and slick when wet. 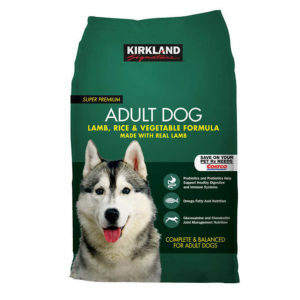 Buy cat litter with Bitcoin. Tracking number provided via email. First class/priority mail by UPS, FedEx, or United States Postal Service. 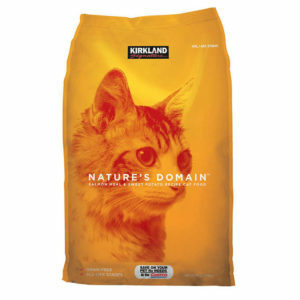 Kirkland Signature Nature’s Domain Cat Food 18 lbs.